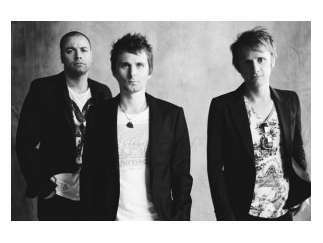 The English rock band Muse was formed in 1994 with Matt Bellamy, Dominic Howard and Chris Wolstenholme. The group has won two Grammy Awards, their second for 2015's "Drones," named Best Rock Album in February of 2016. As Ian Cohen wrote for Pitchfork, the band "only deal in current events that speak to timeless pathologies of the human condition." But the guys are touring in 2019 with their eighth studio album, "Simulation Theory," which Cohen finds somewhat easier to take. He acknowledges its less serious approach: "Despite Muse's operatic ambitions, they have always been a pop band."